ATM FELLOW’S: UNIQUE INSIGHT INTO THE FCO. 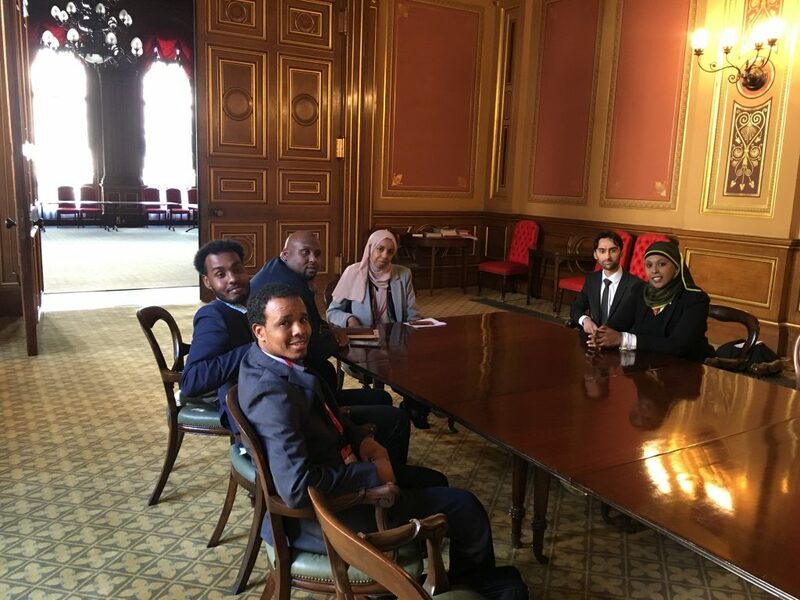 The ATM Fellows were fortunate to spend a day at the Foreign and Commonwealth Office in London, where they heard from the various departments and gained a greater understanding of the important work of the FCO. The programme not only provides exceptional community leaders with a Postgraduate Diploma in Law and Leadership but also develops their personal potential by providing mentoring and work shadow opportunities to further their commitments to social justice, equality, inclusion and social mobility. The first meeting of the day was with Hon. Harriett Baldwin, MP – Minister of State for Africa at the Foreign and Commonwealth Office and Minister of State for International Development. 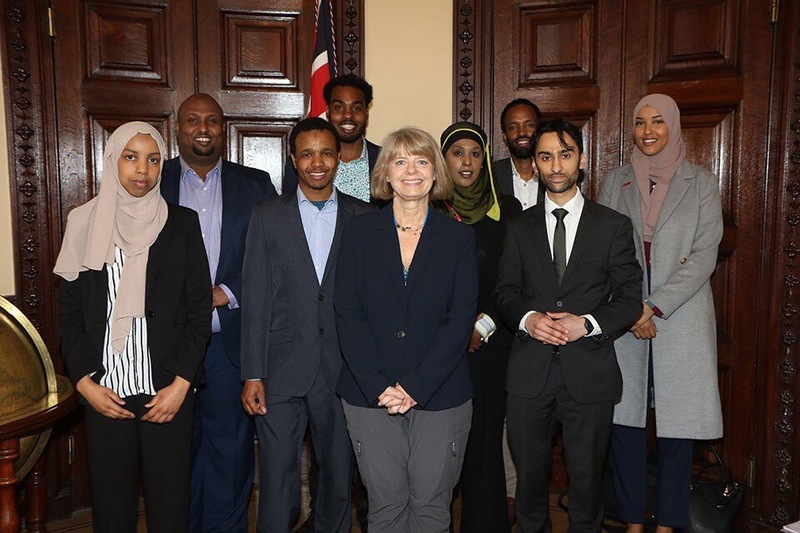 The Minister was pleased to hear about the Somali diaspora community and the fellows took this opportunity to voice their thoughts and concerns. 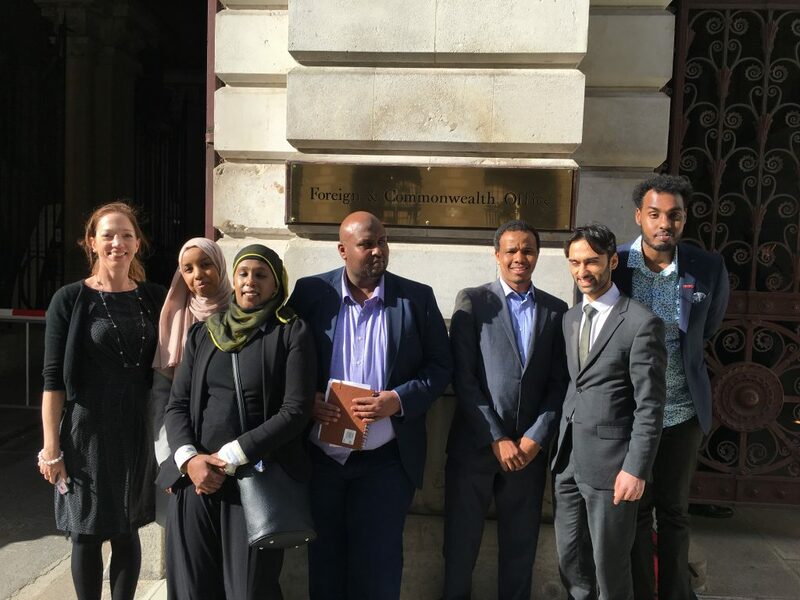 In particular, the fellows were keen to explore potential investment avenues for Somalia and learned about the CDC Group who invests in developing countries. Following on from the morning meeting with the Minister, the fellows also met with representatives from the different departments such as DFID and the Policy Unit. The work of the Forced Marriage Unit was insightful in relation to the Somali community as evidence showed there was an equal split of forced marriage cases between males and females mostly amongst 16 to 21-year olds. The fellows spent the day with Caroline Vaudrey who is the Diaspora Outreach Manager in the Somalia Unit. Caroline gave an excellent overview of the FCO and insights into her seventeen-year career including different ways to engage with government and enter politics for the fellows. The day ended with a historical tour of the fine rooms of the FCO where photos and of course selfies were taken in the Grand reception room of the Locarno suite and the beautiful Durbar Court. The fellows look forward to visiting again soon to continue their engagement with HM’s government.